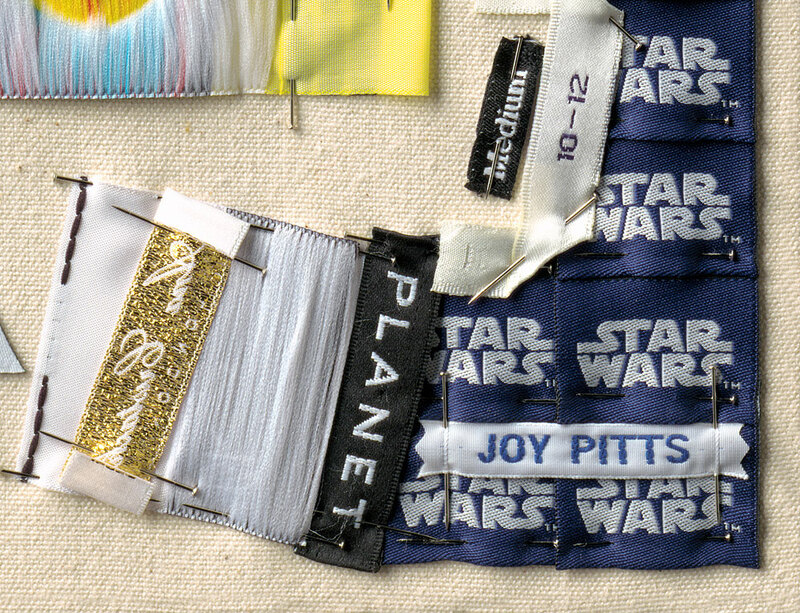 Two cheeky little portraits of R2-D2 and C-3PO using StarWars labels and used garment labels relating to space and planets. 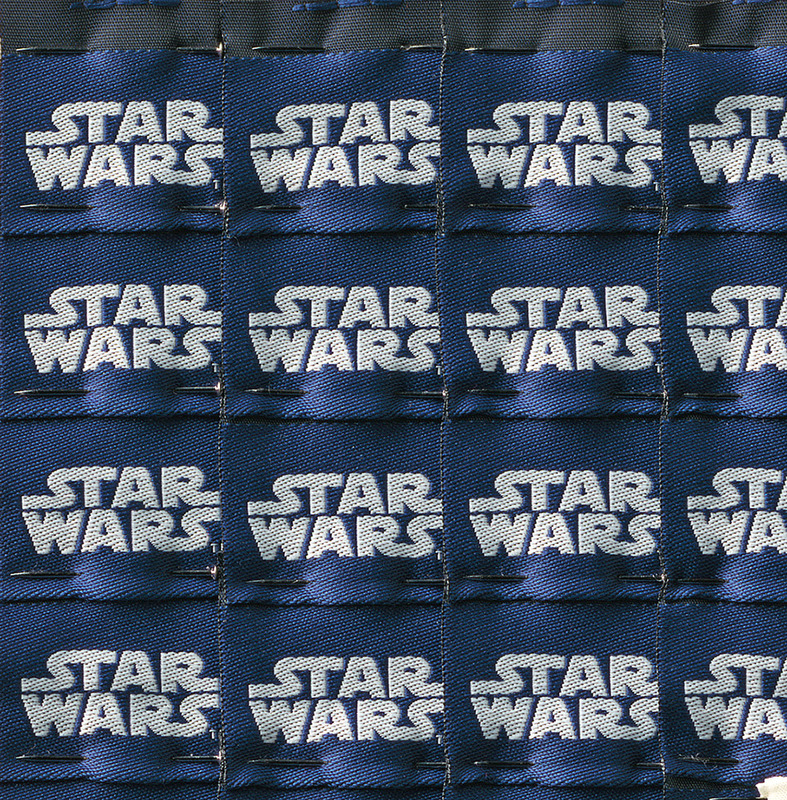 The half circle TRiBORD label used for R2-D2's Dome and the two triangle Venetti (casual wear labels) at the Droids Foot, are from the collection of used labels gathered between 2003 - 2013. 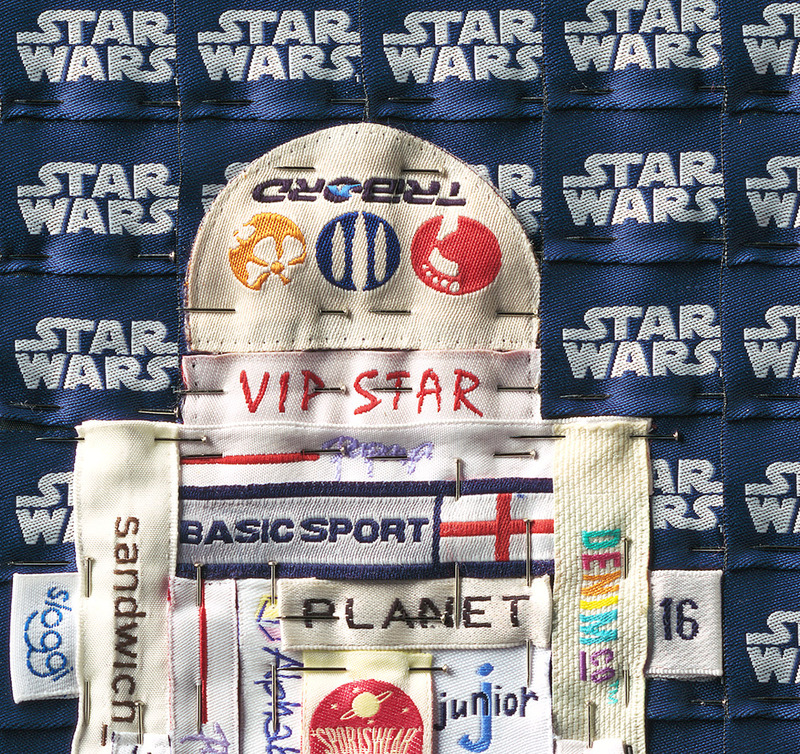 Their unusual shape with circular illustrations and text adds interest and movement to the VIP STAR Droid. 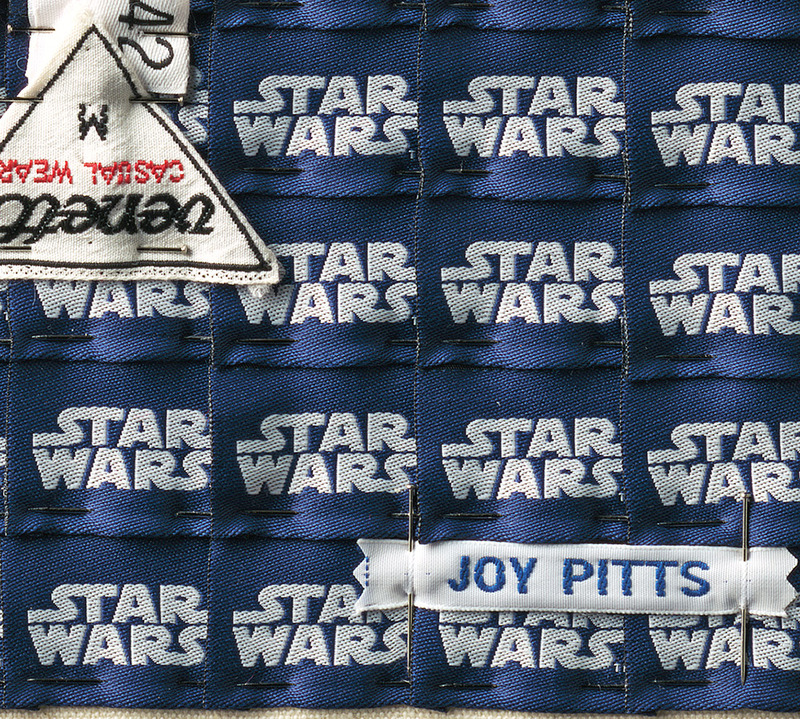 C-3PO has been awarded the Scout Global Challenge Badge for his human-cyborg relations often in a galaxy far, far away. 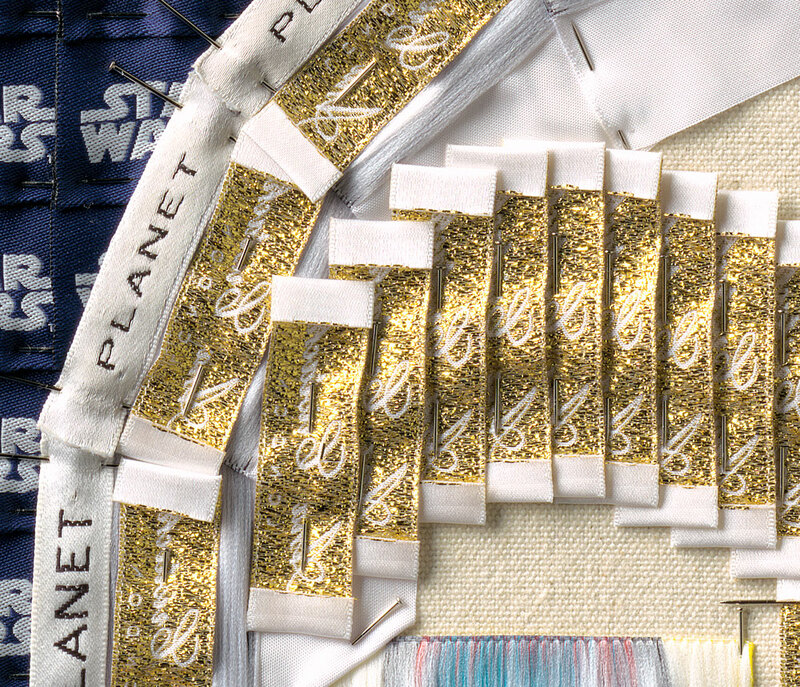 Used clothing labels include Henleys and PLANET, and the reverse side of labels are used for C-3PO's polished gold plating and for his look of surprise, 30 x 30cm. 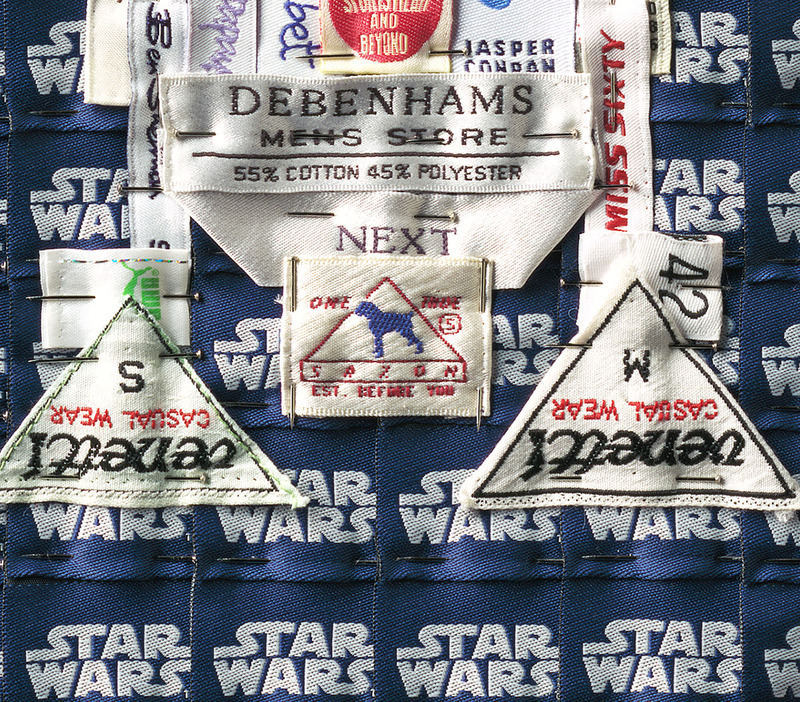 ORIGINAL R2-D2 SOLD - Limited Edition Giclee print available. 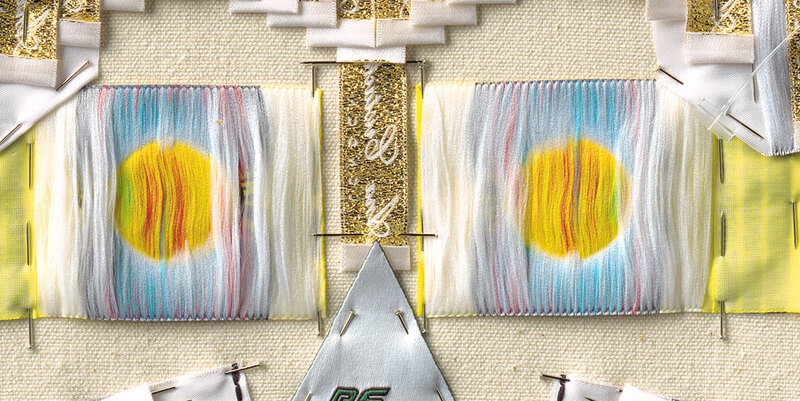 ORIGINAL C-3PO available and Limited Edition Giclee print.